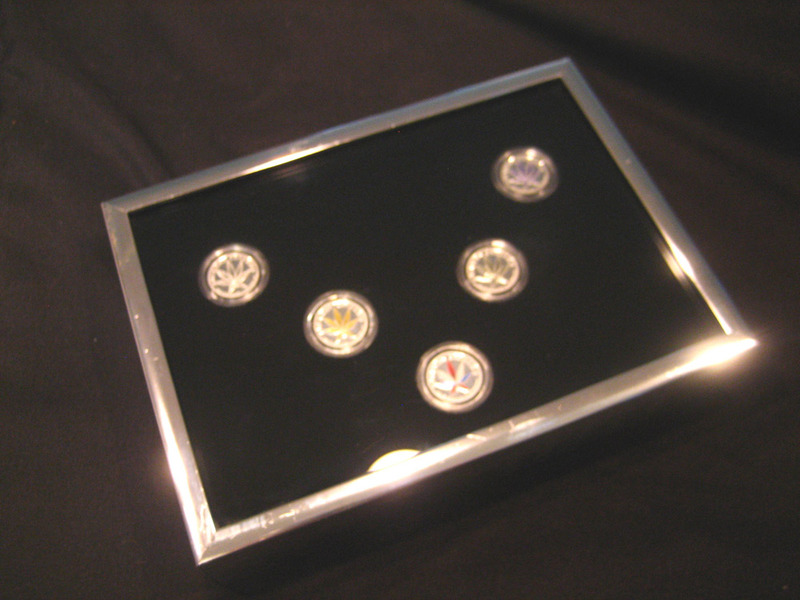 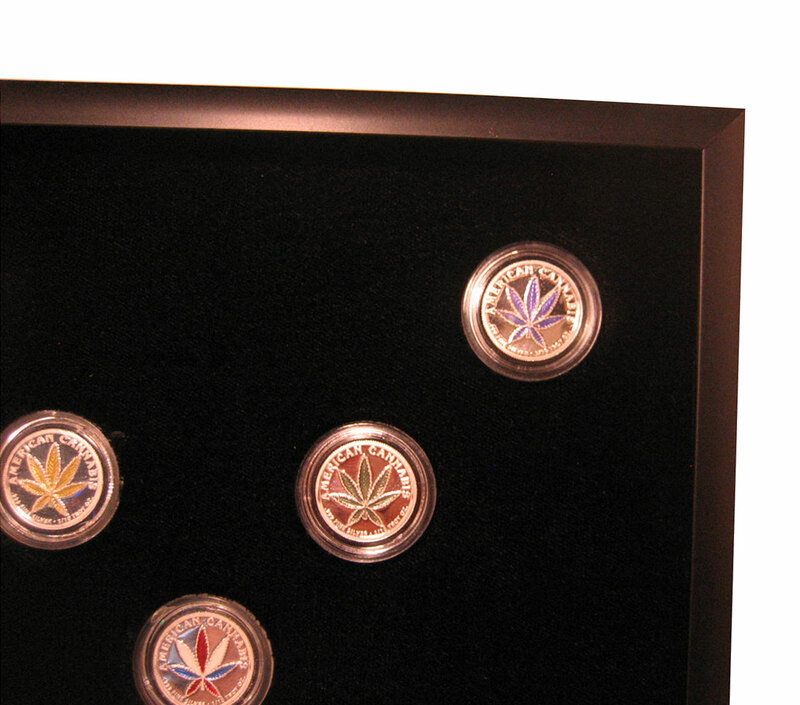 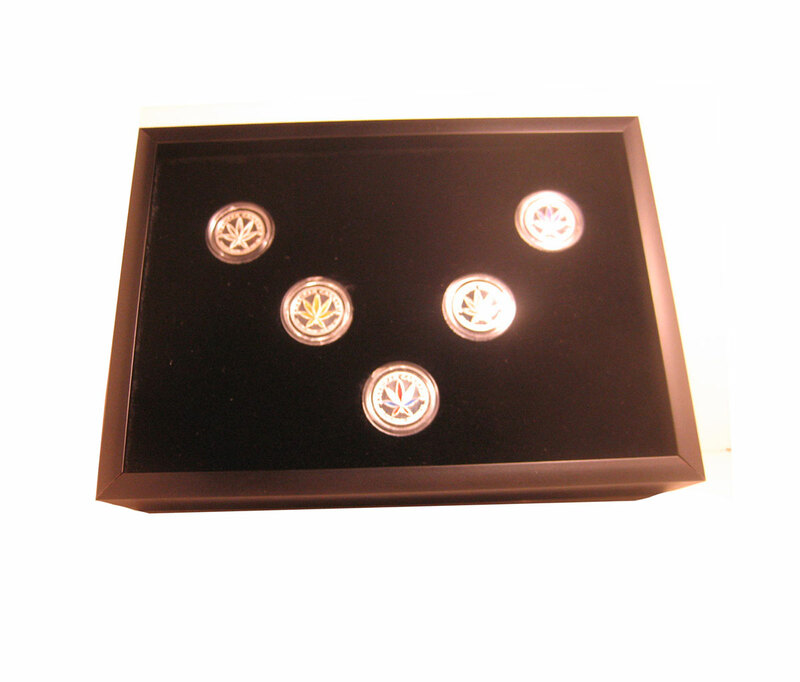 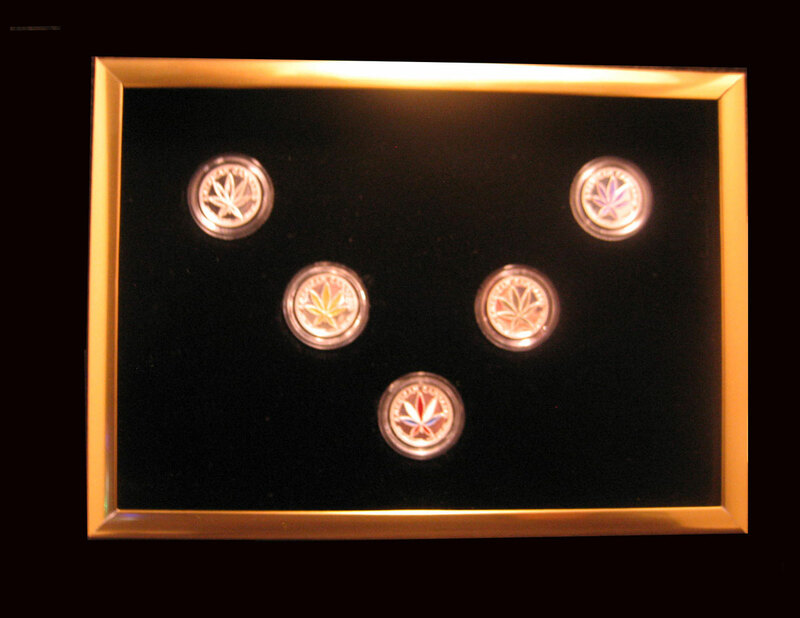 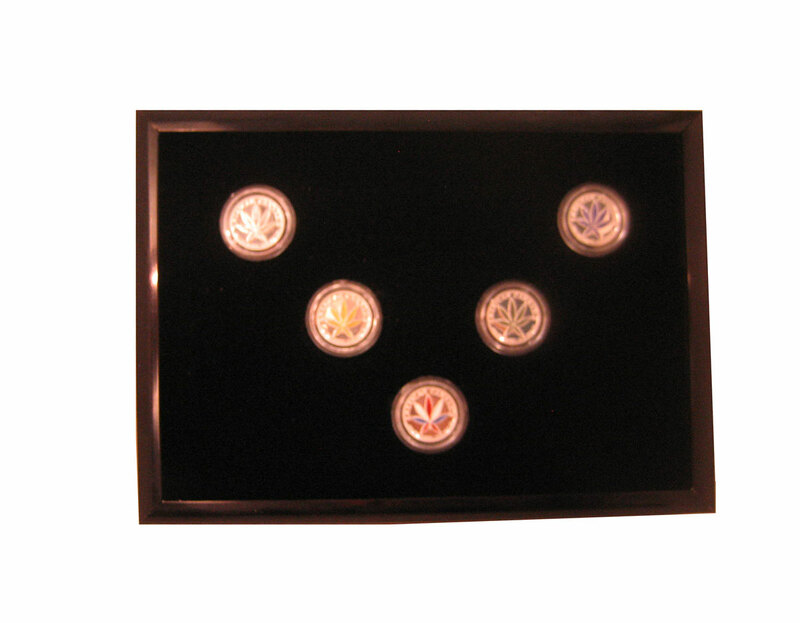 These Aluminum 5" x 7" Coin/Bullion Display Frames for Five 19mm bullion rounds, U.S Pennies, and other various 19mm medallions are made with the finest framing materials in the industry. 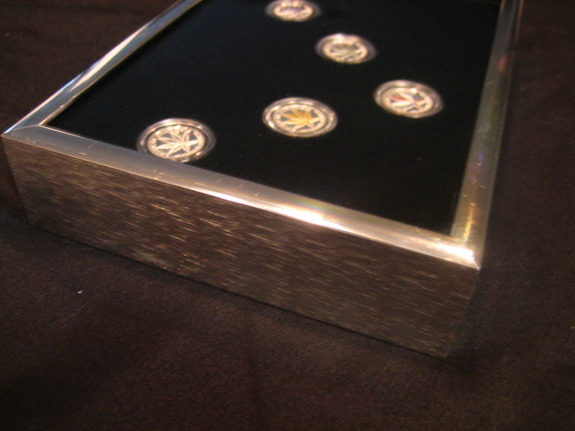 Designed and constructed with superior quality for a life time of elegant beauty to protect and preserve your precious rare coins and collectible bullion pieces. 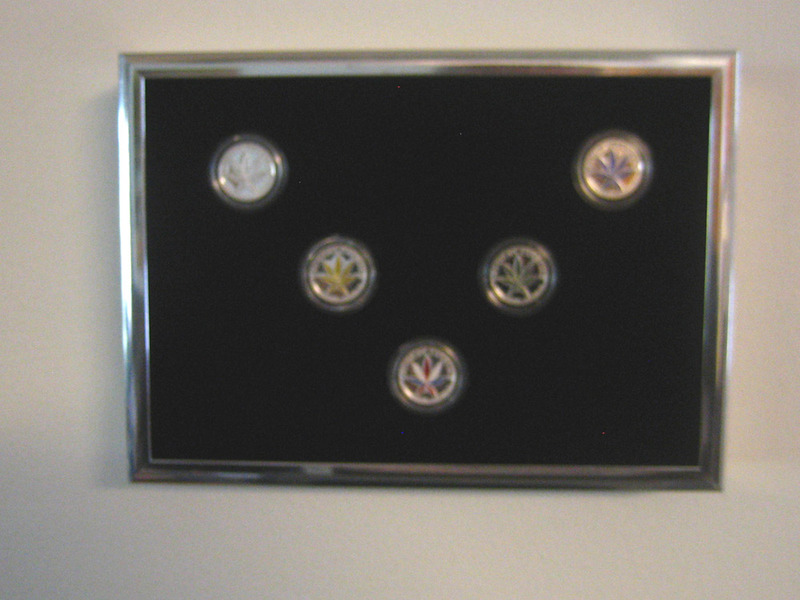 The Acrylic Airtight Capsules are mounted in a backboard made of a plush black velvet material and the backboard is mounted a 1/2 inch below the glass to create a shadow box effect.